The legendary Paris is going to fascinate you with its elegance and beauty. Here are the must dos when discovering this beautiful city. It was hard not to admire to movie Moulin Rouge, so why don’t you take the chance to spend a couple of hours that will not only take you back to the movie but also will make you feel like you are a part of it and a Parisienne? The Moulin Rouge shows are still a big part of the Paris pop culture and the shows definitely are worth a visit. Taking a picture of the red mill, watching one of the best examples of the modern can-can dance in the birthplace of it will definitely be a moment that will not be easy to forget. 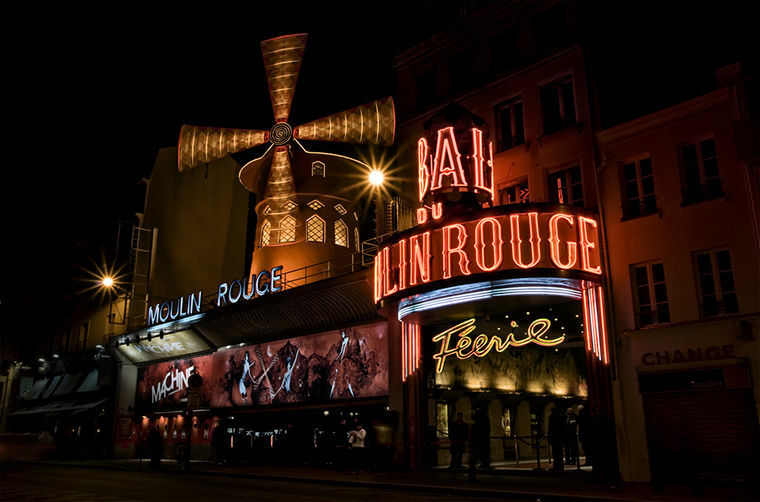 The official website of the Moulin Rouge gives all the information you may need to catch a show. Remember, early booking is mandatory. Paris is beautiful during the day however one must admit it is a city which the lights looks so good on. You should definitely make a plan to enjoy this magical city at night, too. In addition, if you had been short of time and feel that you couldn’t make enough sightseeing here is your chance; one of the best ways to do so is a cruise dinner on Seine. You can enjoy your dinner on boat or you can simply choose a pack that has it all; dinner at one of the restaurants on Eiffel’s first floor, and a tour of Paris’ most famous and visited sites. No matter which one you make your mind to take, this city is going to make you fall in love with herself all over again. We recommend you a visit to a “château”, and it is not a random château you can come across in some parts of Europe. It is the Versailles and it is definitely one of the most splendid work of architecture in the whole world. When it was first built in 1624, Versailles was not considered to be a part of Paris; it was a country village. It was used as the home for some of the most important names of the French history; such as Louis XIV, Louis XV and Louis XVI. This magnificent building has witnessed and turned into a part of the French history until the Revolution in 1789. Today, it is still one of the most famous palaces in the world. The palace offers you a moment to admire the beauty of many aspects of it and get to know more about the history it still carries the marks of. The Versailles today serves as a must take course to French elegance.